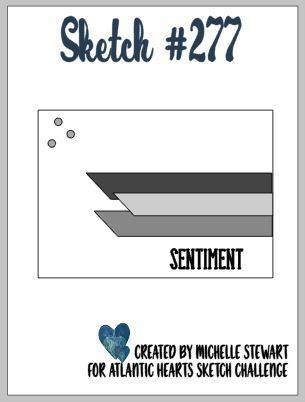 What a fabulous sketch!!!! I love the simplicity of it! 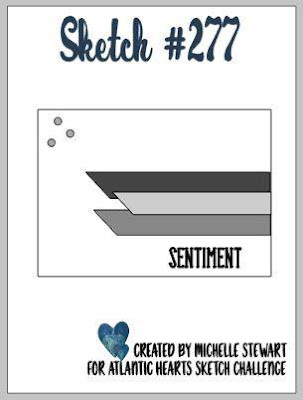 This is the latest over at Atlantic Hearts Sketch Challenge. Here's my card, using up scrap pieces of Tropical Escape designer series paper that were still sitting on my paper trimmer!! I decided to pop up the strip in the middle and love the dimension it provides. 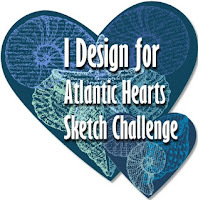 Now I hope you can join us for some fun over at Atlantic Hearts Sketch Challenge.